The thing is, I normally fancy myself quite the musicologist. I don’t just listen to music…I study it! 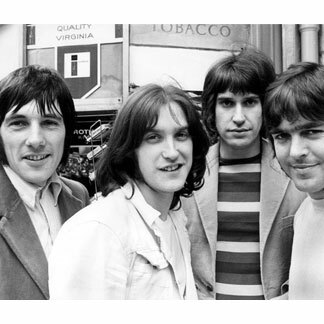 How to explain, then, that despite my love of many British Invasion bands from the mid to late 1960s, I never listened to much music by The Kinks. Oh, I was well aware of and enjoyed, to an extent, hits like You Really Got Me, All Day And All Of The Night, then, jumping ahead, Well Respected Man, and Lola, and jumping even further ahead, their 1979 comeback hit album, Low Budget, which was on heavy rotation during the 1980s. But then, one day recently, I heard their 1965 song Dedicated Follower of Fashion, a song I’d heard many, many times over the years, and something just hit me, a dim bulb in the deepest recesses of my brain lit up brightly and exploded, all of a sudden I remembered all the great things their contemporaries said about The Kinks, remembered how much I’ve loved the way filmmaker Wes Anderson has used Kinks music in several of his movies, and I was compelled to devour the Wikipedia article on the band while I listened to, by this writing, every album from 1965 through 1972. Now, I have to say that it’s almost impossible to know where to begin. There’s so much good stuff there that it’s hard to get my head around the fact that these guys were not in my regular rotation these past 40+ years. By 1970, you can start to hear more American music influencing their sound, and the 1971 Muswell Hillbillies album is a funky mix that isn’t really all that different, in terms of musical (not lyrical) DNA, than The Band, but with more muscle and more funk. The lyrics throughout, meanwhile, range from Rolling Stones-esque silliness to a biting social commentary that’s all Ray Davies.